Police say a man with a cane tried to rob an MTA clerk with a rock. A man tried to rob an MTA clerk with a rock at a Manhattan subway station, but came away empty-handed, police say. 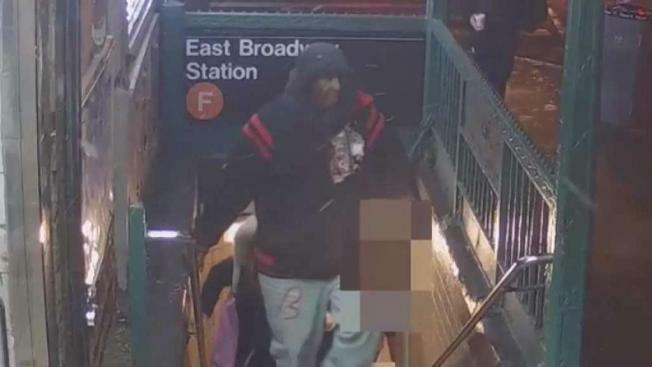 The man used the rock to smash the clerk's booth window at the East Broadway F train station on the Lower East Side Wednesday night, according to police. After shattering the window, he demanded cash from the clerk and even claimed to have a gun in addition to the stone, police said. The clerk refused to hand over any cash and the man took off. He was last seen heading towards the NYCHA Rutgers Houses, police said. Surveillance video provided by police shows the suspect leaving the station while walking with a cane.